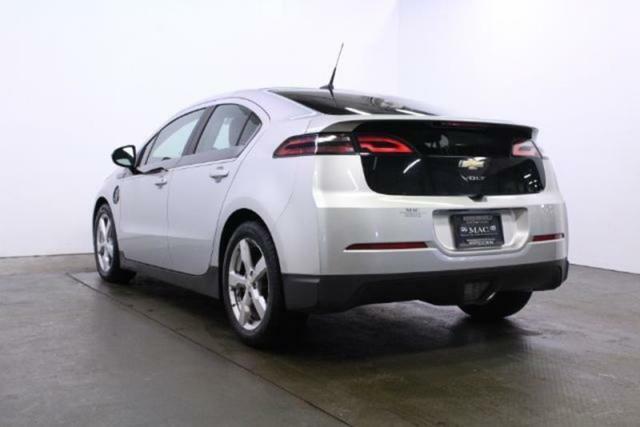 Chevrolet Volt is an American plug-in hybrid car. The car was first produced in 2011 and is manufactured by Chevrolet division of General Motors. This vehicle travels 25 to 50 miles (38 miles average) on electric power alone. After the battery is depleted, it switches to the extended range mode (petrol). It can carry up to four people (including the driver). 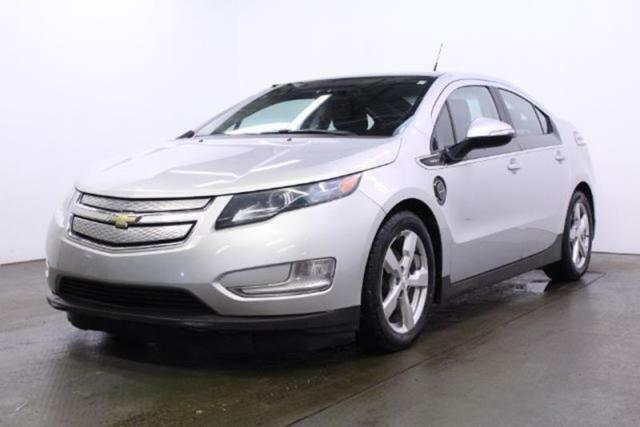 The Volt has 16.5 KWh of lithium batteries and a 1.4 liter engine using premium fuel. The batteries have enough power to drive the car normally (it can go from 0 to 60 mph in 9 seconds). While the batteries have power, the car is like an electric car. 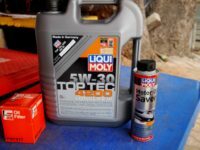 When the batteries run out of charge, they can be recharged from a special electrical outlet, or the car can turn on the gas engine. The gas engine and electric motors combine in a special type of transmission called a planetary gear, like the Toyota Prius. This allows the gas engine to drive the car or to change its power to electricity. The electricity can charge the battery or power the electric motor. 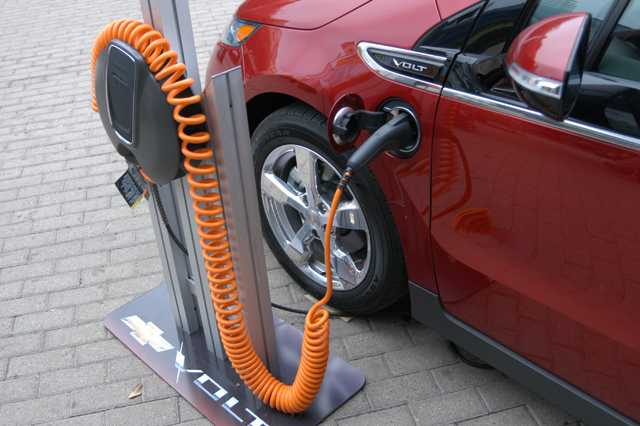 How much gas is used depends on how the car is driven and when the batteries are recharged. It is possible to only use electric power and never use gasoline. The EPA estimates the average person will get 98 miles per gallon (including the equivalent cost of electricity). The batteries can be recharged in 10 to 16 hours using a 120V charging unit (most circuits in a house are at 120V). A 240V charging unit will recharge the car batteries in four hours. The batteries can also be charged from the gas engine or from the regenerative brakes, which turn the energy of the moving car into electricity.